Hear lived experience advocates Aaron and Tanya speak about BPD and their paths to recovery. 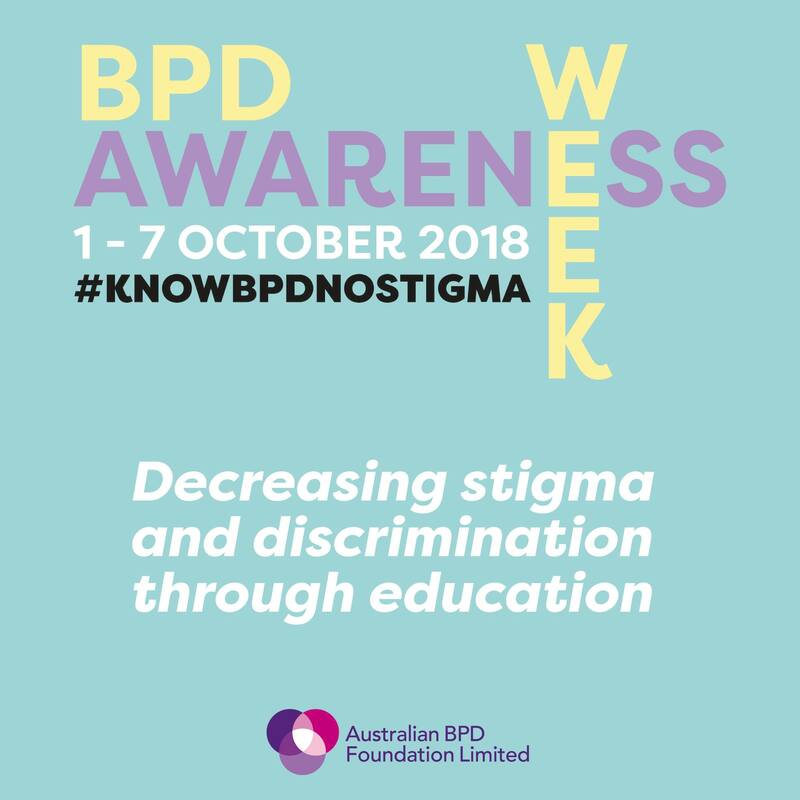 BPD Awareness Week is important. 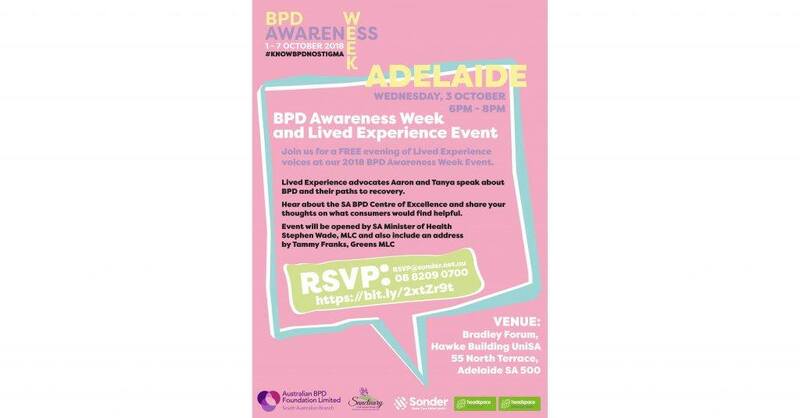 It’s our chance to let the people of South Australia know more about Borderline Personality Disorder, a condition that BPD consumers live with daily. Most people have no idea how tough this condition is. Others don’t know that it’s treatable, that recovery is possible and even likely – if Consumers get the right care. So we must let them know. Because the more they know – the more support they can give. What services should the Centre of Excellence provide to help you best? Consumers will be asked for their views on the SA BPD Centre of Excellence, which will be anonymously audio recorded. We genuinely hope to see and hear from you.